What do working with wood, monkeying around and Richard Branson all have in common? As 2016 drew to a close and this new year and new cycle began, I reflected on “inspiration”, and discovered that these three seemingly unrelated things (wood, monkeying around and RB) are sources of inspiration for me. I want share some musings about Inspiration. 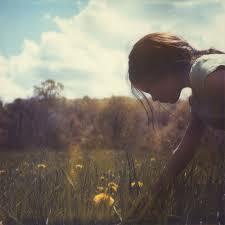 Childhood Inspiration: What is your earliest memory of an inspiring moment? Maybe you met someone, or saw something, or did something that you thought wasn’t possible. Well, why not pause and reflect right now? I know you’re busy reading, and haven’t got all day. But let’s do it anyway… close your eyes right now and remember…what was it, that earliest inspiring moment? The next day the waves were still big but they had a more orderly form. The wind was blowing from the shore and smoothed the surface to create perfect funneling cylinders. To my amazement, a bunch of board riders appeared far out beyond the breakers and went about taking off into these cylindrical tunnels of water. My dad had introduced me to Mother Ocean early (I had been a bodysurfer since almost before I could walk). 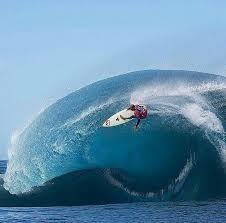 I had had learned a healthy respect for large waves. I could barely believe my eyes! It was inconceivable to me… Every wave a group of surfers would jump to their feet, drop down and angle across the face of the wave, disappear behind a curtain of falling water and speed through a room-sized tunnel of water and mostly come out cleanly. A seed was sown there and I guess at some level I told myself that I was going to do that. Inspiration was there. Around a decade later, after several thousand hours in the water, I did manage get to experience that thrill. Even nowadays – every now and then – when conditions are right, I still get time in the tube. 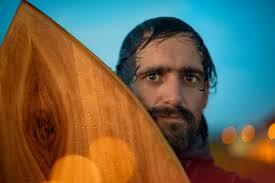 Patrick Burnett – expert surfer, craftsman, environmentalist, teacher and builder of hollow wood surfboards. I took a five-day personal retreat to do one of Patrick’s board shaping workshops. It was a birthday gift from my lovely wife. It was an incredible experience. Patrick’s first instruction came before I arrived. He urged me to go surf Outer Kom on the morning of the first day, so that I would bring good spirits into the workshop. I did and I did. I knew I was in good hands right then. Now I have a beautiful wooden single fin in honour of those 1970’s tube-riders. I can’t wait to ride it and go back full circle. This process showed me what goes into a fine end-product: we really need to maintain focus and keep an eye on every minor detail. The other surprising thing was that in five days of gluing, scraping, measuring, eyeballing the lines, hand plane-ing, sanding, and visualizing the future board, there is a kind of affection for the object that develops. It isn’t just a piece of surfing equipment anymore, but an object that contains an investment of myself and the “spirit” that went in. This is what they call “Taksu” in some traditions. One friend said “Imagine if every object one ever required was achieved through such devotion? consumerism would be dead!” Well,I don’t know about that but we would probably have less stuff and definitely throw away less stuff. So that was an inspiration. Thank-you Patrick. David Gardner. He has a wisdom and clarity way beyond his years. An anthropology major and searcher, Dave was part of my Teacher Training Programme about 5 years ago. He followed that up with my Advanced Teacher Training and was there with us in India. After that he kind of just took off! I mean, he dived into his practice and expanding on it. Completed YogaSynergy training with Simon and Bianca and got inspired by Cameron Shayne’s Budokon Yoga. In December, at his 50 hour Budokon Teacher Training I had the great pleasure of being a student to my student! Beginner’s mind! Budokon a challenging physical practice. Not for lazy people at all, but the biomechanics are very sound. This is probably part of what makes it so popular. That – and the monkeying around! If you want to get stronger and learn to move the way nature intended, that is, like a ninja, then this practice is for you. One thing that resonated was the guideline that Yoga teachers should “interpret, integrate and then innovate” in their practice and teaching. Interpret, meaning make sense of something for yourself. Then integrate, meaning practice it until it is yours. Then innovate, meaning take further steps and build more connections with it. In this way we keep on evolving and the practice doesn’t get stale. It’s a contemporary way to learn. Thank you for sharing your energy Dave, I can’t wait to see what you will be doing in another 5 years. We already have Budokon Classes on the schedule at my studio, ReUnion Yoga & Meditation, and a special 3 week course coming up this March. ReUnion will play host to other senior Budokon teachers, including the founder Cameron Shayne later in the year – be ready. Yes. The grinning super-mogul who owns airlines and all sorts of companies. 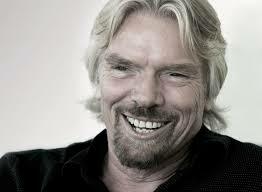 He bought the bankrupt South African Health and Racket Club at Mr Mandela’s request and turned it into Virgin Active. I read his biography “Losing My Virginity”. It has been on my list for a while. Now that I am doing business with him (gasp) I thought I should know a bit more. But what really got my attention was this: just before start of the first Gulf War, he personally negotiated the release of hostages after Saddam Husain invaded Kuwait. He called on all his contacts to get an agreement, and then flew with his own plane (Virgin Airlines) to pick up a load of innocent people just before the Americans started bombing the hell out of the country. He didn’t have to do that. He did it because he had a plane and a crew spare and figured that he could and therefore should. I think he is a legend! Here is the background. 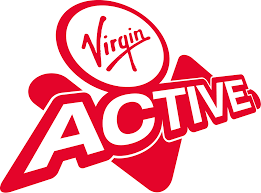 For ten years now I have been suggesting to my Teacher Training Students to go and teach at Virgin Active because it’s really good experience. 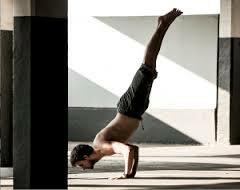 Many of the clubs have very good yoga facilities and there are quite a few really good teachers. The reality is that “the gym” is where the vast majority of people get first exposure to yoga. I know several very good Yoga teachers have built up a significant “followings” of regular students. These teachers could earn more elsewhere but they stay on out of loyalty to their regulars. People have complained to me recently about safety standards in the Yoga Classes at Virgin Active. There were stories of random and inappropriate headstands and that kind of thing. This is part of what gives the “Gym Yoga “and by extension, yoga in general, a bad name. Virgin Active are aware of this perception and have identified Yoga as an area with more potential growth. So they approached me and asked me to act as a consultant to help them to “renovate” their Yoga Offerings. I was really cautious at first, wary of being seen as a sellout. Some friends told me straight up “don’t go there-don’t sell your soul!” But I thought about it and talked it through with valued members of my “brains trust”. My involvement would need be a lot more than window-dressing or nothing at all. It would make more sense to invest my energy in a significant way and see what can be done in the long term, so I came up with a plan to benefit everyone including the teachers and the club members. My proposal for a 3 year collaboration was accepted! Contracts have been drawn-up and signed! So now I am in boots (well, bare-feet) and all. Look out for more news and Virgin events coming up soon. In the meantime I hope that the new year brings many laughs, afternoon naps, and some moments of inspiration to you. Thank-you for reading. Continue the conversation on Facebook or drop me an email, I’d love to know your thoughts.